2nd Rockfall In 2 Days Injures Another Climber At El Capitan : The Two-Way Another, larger chunk has fallen off the monolith rising over Yosemite Valley in California. One injury is reported. In yesterday's fall at the same place, one climber was killed and one injured. A day after one climber was killed and another injured, a larger rockfall has hurt someone in the same place in California's Yosemite National Park. 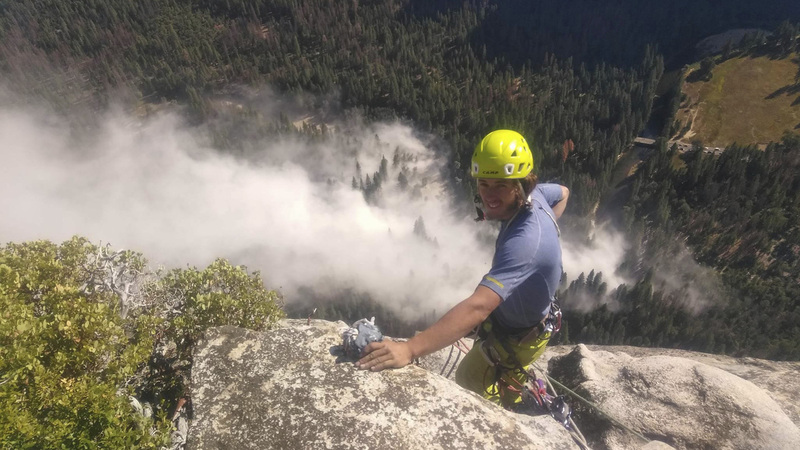 Climber Ryan Sheridan tells The Associated Press that the new slab that fell from El Capitan — which was full of climbers undeterred by Wednesday's fall — was three times larger than the section that broke off the previous day. Climber Ryan Sheridan had just reached the top of El Capitan when a new rock slide let loose below him on Thursday. He said the debris crashing down from the monolith filled the Yosemite Valley with smoke. 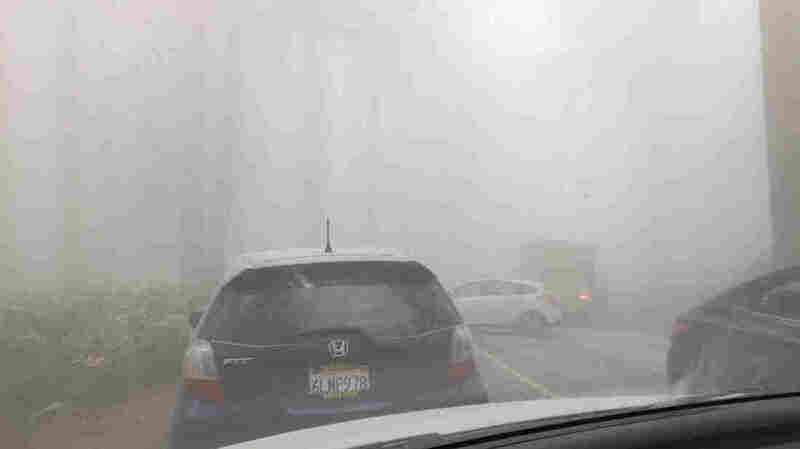 Vehicles were shrouded by a cloud of dust from the new rockfall from El Capitan on Thursday. Rangers closed a road on the north side of the park because of the rock fall. A park spokesman said the person injured Thursday has been flown out to a hospital. The person's condition has not been released. "Thursday's rock fall appeared to be in the East Buttress area where Wednesday's rock fall occurred. Traffic was being cleared from a nearby meadow and visitors were gathering to watch as one helicopter hovered over the debris. Later Thursday, the park announced that Northside Drive exiting the Yosemite Valley was closed due to the rock fall and advised drivers to leave via Southside Drive." Park officials said the man killed in yesterday's rockfall was Andrew Foster, 32, of Wales, and his wife, who was seriously injured. Her name was not released. The officials said the couple were in the park to climb but were not climbing at the time of the fall. "Rockfalls are a common occurrence in Yosemite Valley and the park records about 80 rockfalls per year; though many more rockfalls go unreported. The rockfall from El Capitan [on Wednesday] was similar in size and extent compared with other rockfalls throughout the park, though it is not typical that that there were victims. "It has been 18 years since the last rockfall-related fatality in Yosemite National Park. In that incident, rock climber Peter Terbush was killed by a rockfall from Glacier Point June 13 1999. There have now been 16 fatalities and more than 100 injuries from rockfalls since park records began in 1857."